Free parking. Multiple brands of good quality beer at affordable prices (please drink responsibly!). Local vendors offering good food options in a festival environment. An energetic and funny DJ playing music and MC’ing fun competitions all day long. What more do you want on a Saturday? 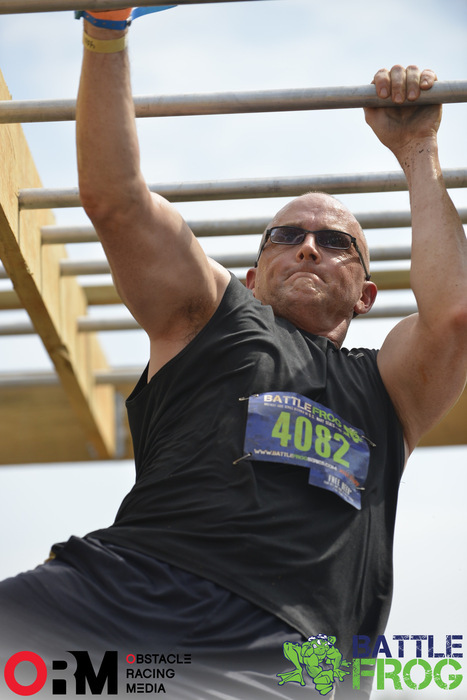 Oh, and yes, surrounding all of this fun and games atmosphere was an obstacle course race in the form of Rugged Maniac. 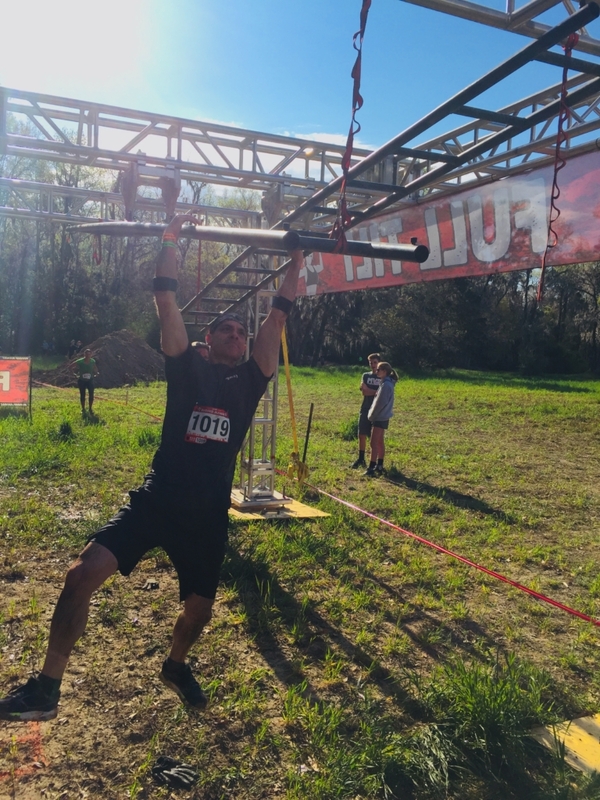 If you’re on this website and reading this article you probably already know that Rugged Maniac is an obstacle course that packs 25 obstacles over a 5k course. 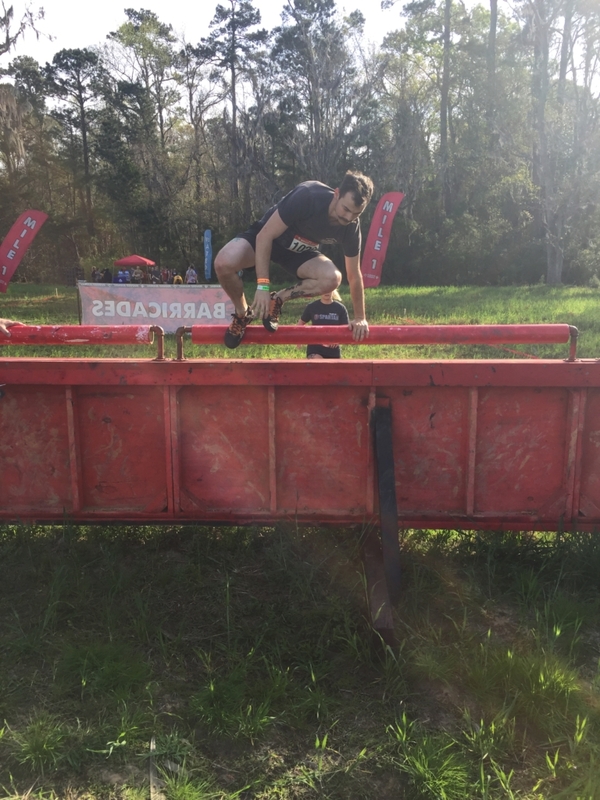 Rugged Maniac did a good job designing their course by maximizing use of the local terrain at Boone Hall Farms in Mount Pleasant, SC. There were streams to wade through, natural mud bogs and swampy terrain, and lots of wooded trails to stomp through in between Rugged Maniac’s man-made obstacles. Barzan was by far the best and most challenging new obstacle. An incline pipe of about 8 feet going up to 3 swinging horizontal pipes, followed by a downward pipe of about another 8 feet. This really burned the grip, bicep and shoulder muscles. The obstacle itself was challenging, made more so by the people to your left and right making the entire thing shake and sway. Not many made it across successfully. Feed the Beast looked like a big kid’s bouncy house as you ran by it at the beginning of the course, but you didn’t actually hit this obstacle until almost the end of the race. You jumped up into an inflatable mouth of teeth and once inside you had to jump and crawl up and around columns and levels inside the big bouncy house. Hell and High Water got an upgrade this year. In previous years you hopped across the plastic lily pads “at your own risk” so to speak and each year you’d see plenty of people take pretty good falls on the unstable floating platforms. This year they had a cage of sorts framing the obstacle with ropes hanging down to help you balance and navigate the lily pads. Not having the best balance, I loved the ropes. 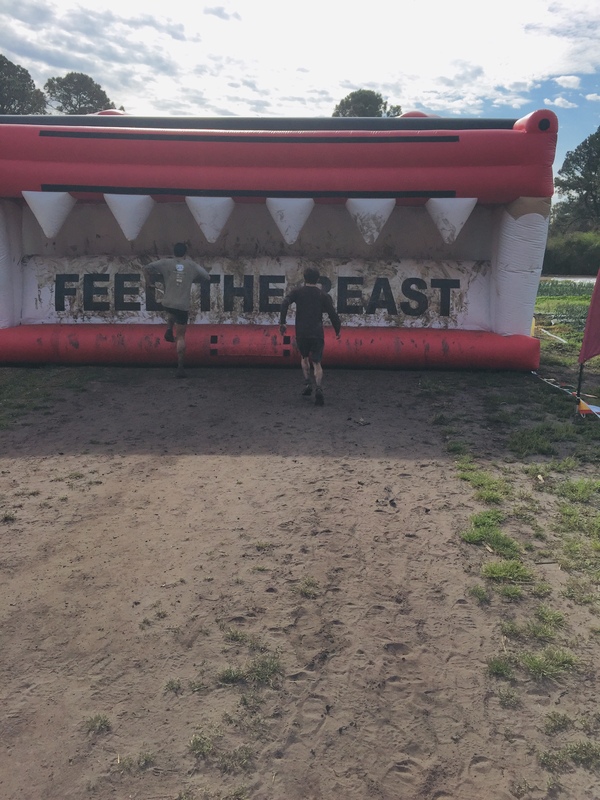 Rugged Maniac X (RMX) – for an extra $20 you had the option to run multiple laps of the course. A change in rules this year allowed you to either just keep running consecutive laps without stopping (like in years past) or you could take a break and grab some refreshments and then jump in with the next wave taking off for another lap whenever and as many times as you wanted to. Pretty cool. I really liked the introduction of a technical sweat-wicking finishers t-shirt this year. I have so many finisher t-shirts from various races that about once a year I go through my drawers and throw out half a dozen or more just to make room… but they are all cotton t-shirts better suited for a day at the beach or walking around town. I can’t run or work out in cotton – you probably can’t, and shouldn’t, either. This year’s finishers shirt will remain in my workout rotation for years to come for everything from tennis to CrossFit. I also liked the new hexagon-shaped finisher’s medal. I love that Rugged Maniac changes it up each year and seem to upgrade their medal each time. Well done. The Charleston, South Carolina area offers a good number of options for mud runners and obstacle racers. Charleston is also a major international tourist destination. The location for this Rugged Maniac event is within 10 minutes from world class beaches. Also within 15 minutes are internationally renowned restaurants. Charleston is also a city with a rich history worthy of visiting just for its beauty and history alone. 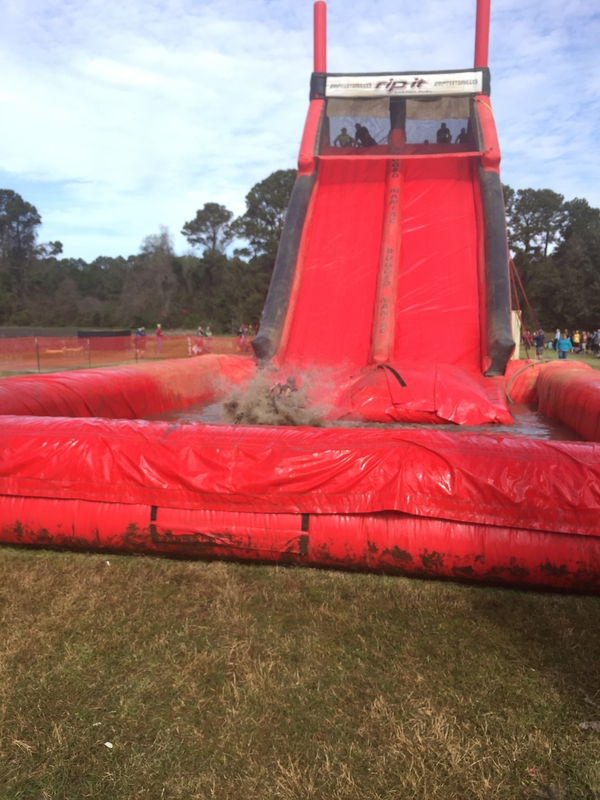 Rugged Maniac brings the best obstacle course in the Charleston area, by far. Come here to visit all the city has to offer in March next year. You’ll run a great race and have a lot of great memories of Charleston surrounding your Rugged Maniac experience. 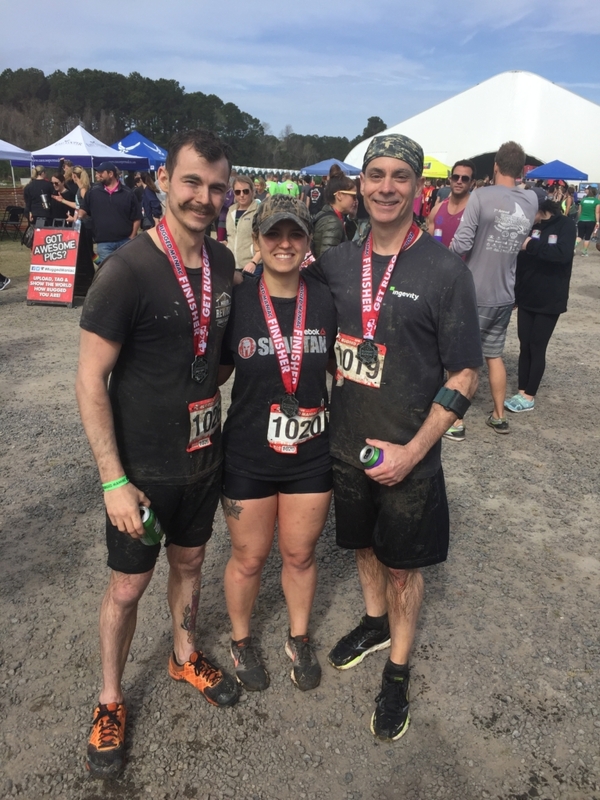 The fact that Rugged Maniac is in March means it’s warm enough for beach walks and some dips in the ocean with the added benefit that you’ll beat the crowds of summer. 5 out of 5 stars for a great race in a great place. This author is part of the Mud Run Crew and received a free race entry in return for an independent review. All opinions are those of the author and were not influenced by the race sponsor or Mud Run Guide.